Whether you are upgrading your house for yourself or selling, when considering home improvements, it is important to think about priorities. You can’t do everything at once, so what should you pay attention to first? The interior? The paint job? The best idea is to consider what is most critical to keep your house in the best of shape. Look inside and outside your home and look for weak points. Are there leaks on the ceiling or walls? Has the paint started to wear on the exterior of your house? These types of repairs are important. But not the most important. One way you can use to determine where you should spend your home improvement dollars is to consider what would happen in each case. For example, what is the worst-case scenario for a dull paint job? Let’s face it. The world will not stop turning if you do not paint your house. Sure, it will improve the cosmetic look of your home, and it will make you happier to have guests come by. It will give you a sense of pride in the way it shines and looks as people pass by. But, in a way, painting the sides of your house is like putting makeup on a homely girl. You are just covering up the surface, without really looking at the most important aspects of your house. What are the most important aspects of a home’s value? What do housing experts use to determine your home’s value? What are the most important points realtors use to assess the worth of your house? If you can answer these questions, you are getting more to the heart of the most important qualities of your home that need attention. Repairing the basics: roof, ceiling, damaged exterior, etc. As you can see, one of the most important things you can do to immediately improve the value of your home is to repair the roof, ceiling, or damaged exterior. In other words, the first thing people see when they view your home (either for consideration to buy or to visit, is the outside of your house. This includes the roof. The roof is also part of the security of your home. If you have severe damage to your roof, your interior is open to foreign elements, such as leaks, ceiling damage, and damage within your home. You don’t want to risk letting the outside in. A new roof is the only way to guarantee this. Why not just repair my current roof? Some people decide to just repair their current roof rather than opt for a new one. They are afraid the expense will be too great, or it will take too long to get a new roof. However, if you think about the expense and time it takes to install a roof, as opposed to the time you will invest down the road due to other repairs and damage, getting a new roof makes the most sense. When you repair something, you just cover up the damage. You create a “look” of newness perhaps by patching what needs fixing. But inside, the problem still exists. It’s similar to covering up a medical problem only to discover later that the problem is worse than you thought. Asphalt shingles are relatively inexpensive when compared to other types of roofing, but they are not as weather-resistant and may get damaged more easily than other materials. If you had an asphalt or fiberglass roof installed more than 20-40 years ago, it might be time to change it. Keep in mind that warranties say a lot. One source stated that, while the average life expectancy of an asphalt or fiberglass roof is around 20-40 years, most warranties are only good for up to 15 years. This indicates that it might be wise to change your roof more often to ensure durability. Wood shingles and shakes type roofing is made of cedar or other quality wood materials. They are more expensive than asphalt or fiberglass roofing, but they are typically rot-resistant and will last up to 30 years. Again, check on the age of your roof and the types of material that were used when it was first installed to get an idea of the condition your roof is in. Some metal roofing is made of stainless steel sheeting or galvanized sheets, but you can also ask for copper or steel. These durable, totally weather-resistant roofing materials will sometimes last for up to 100 years. However, this type of roofing is rare, except with commercial buildings, so it’s doubtful that your roof is made of this material. Stone tiles are made of earthy materials such as stone, clay, or terra cotta. This material is often much cheaper to install, but this is a job that only professionals can do due to its hefty weight and cumbersome qualities. It is highly weather-resistant and can withstand high winds better than some materials. In the past, many homeowners opted for flat roofing. But rain is a problem because it can set on your roof and cause leaks that can filter down into your house. The other bad news about flat roofing is that is typically has a very short lifespan-only about ten years. If you have a flat roof, chances are high that it’s already time to replace it. Another type of roofing you may want to consider (and to check to see if you already have it to predict your roof’s remaining lifespan), is a rubber roof. This type of roofing offers excellent UV resistance from the sun’s damaging rays, but may not last as long as other types. If installed well, however, it can last up to 40 years. Consider these types of roofing materials to find out what type you currently have so that you can predict when you need to replace your roof. But also think about which of these you would like to have for your home when you hire a roofing contractor to install your new roof. Getting to know the difference in materials and their durability to sun, wind, and the elements will help you make a more educated decision regarding which type you should ask contractors to install. When considering home improvements, you have to plan how you will spend your money so that it will do the best. If you have a leaky roof (or even if you don’t, you may want to consider replacing your roof.) Check to see how old your roof is. If you don’t know, ask your housing contractor to look into this for you. You may also be able to get this information from your abstract county office. They have a record of all housing deeds that went through their office. In some cases, your roof may be newer than your house. The best test is to have someone go up on the roof to check it out. If you don’t know how old your roof is, chances are it’s time to replace it. Wind, hail, tree limbs and the elements all take their toll over time. Some people wait until there is a leak before they decide to replace their roof. But here are some reasons why you shouldn’t wait. Damaged roofs will only get worse with time. If you have damage due to storms, hail, or twigs that have fallen on your roof, the problem will only get worse if you let it go. Roof repair can help repair the individual damage but getting a new roof is the only way to ensure that all of the tiles are in the best possible shape for a uniform look. Getting a new roof will increase your property and resale value. When you want to improve one of the most basic reasons that your home value increases, the roof is a great place to start. This post by a home exterior appraiser shows that having a new roof installed can add between 15-40% to your home’s assessed value. A new roof will give your house a whole new look. You will take more pride in your house when your roof looks new. A new roof helps keep the elements out and safe from the interior of your home. It also prevents damage from happening within your house and ceilings due to leaks that can occur over time. A new roof will protect your home from future weather damage. A roof is meant to protect your house from the wear and tear of Mother Nature. The expected life span of a house roof is around 18 years, on average. This post shows that different types of materials last longer than others. You should be aware of the life span of your roof so that you will know when you need to plan to replace it. One inevitable truth is inherent in home ownership. Sooner or later you are going to have to replace the roof. Whether you do it today or a few years from now, it will have to be done. Why not improve the condition, resale value, and look of your home by getting the job done now. Now is always the best time to do something that you know has to be done. And you will be proud of the results and proud to know that you have increased the value of your home. Installing a roof is dangerous. If you are not an experienced roofer, you could fall and end up with a serious injury. Experts are bonded, trained, and certified to do your roofing job. They understand the proper way to do it that would take years of training if you were to attempt it yourself. Professional contractors take on all of the legal and insurance issues so that you don’t have to worry. Hiring professionals to do the job lets you get on with your life as the roofers work, without having to get out in the hot sun yourself and risk a fall. All of these reasons are great reasons to consider hiring a roofing contractor. You don’t want to risk your well-being, your children, or others that could be in jeopardy if you take on the job yourself. Hiring a professional contracting company assures you that you will be in good hands, without having to stop everything and focus on your roofing job. A roofing job is extremely complicated if you don’t know what you are doing, and there is a high risk involved. There’s no need to take on such a risk yourself when you can hire professional to do this for you. 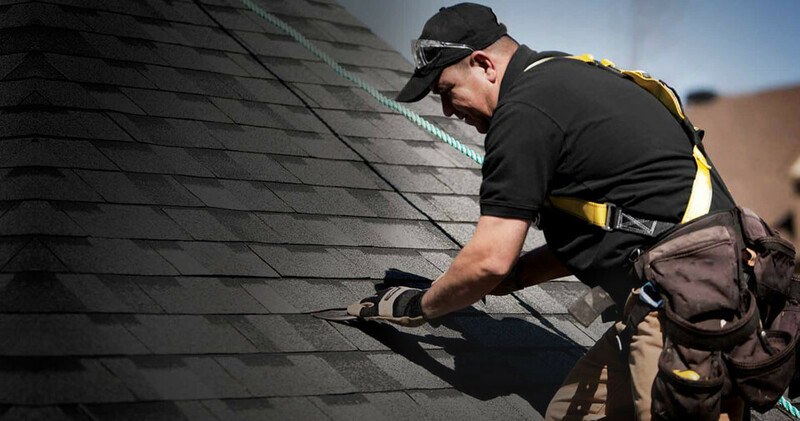 In Newnan Ga, we are your professional roofing specialists who take the time to do the job right the first time. With years of experience in roofing, Newnan has come to trust, we take every job seriously and follow all regulations and city ordinances. So you have no worries about compliance, and you can relax while we work! We love putting a roof over our customers’ heads and knowing that we have helped our clients increase their home value.